What does NAAAID stand for? NAAAID stands for "National Association of Americans of Asian Indian Descent"
How to abbreviate "National Association of Americans of Asian Indian Descent"? What is the meaning of NAAAID abbreviation? 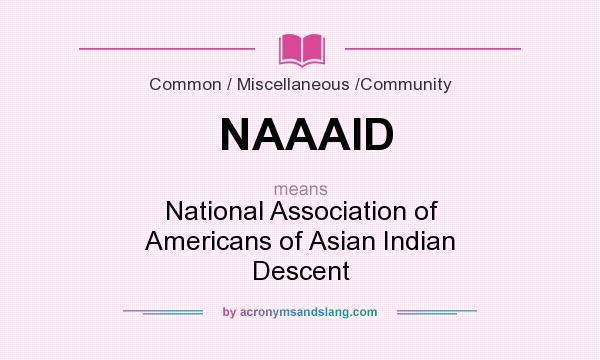 The meaning of NAAAID abbreviation is "National Association of Americans of Asian Indian Descent"
NAAAID as abbreviation means "National Association of Americans of Asian Indian Descent"